Meet our latest love. 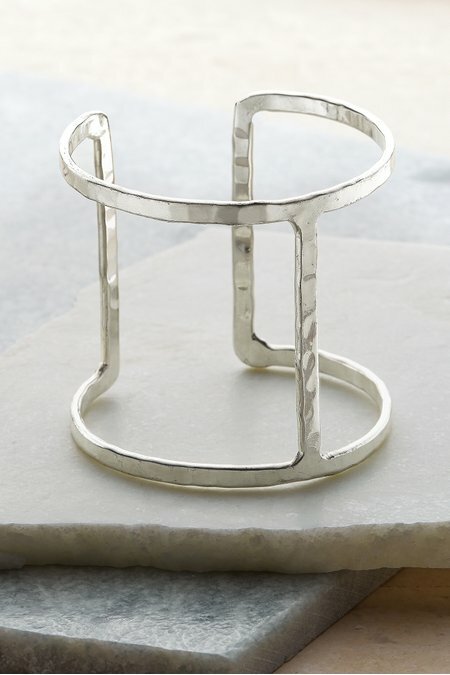 This slender cuff bracelet is styled of solid brass with an aura of Aphrodite, then drenched in precious metals. The gold cuff is plated in 14K gold, and the silver cuff is plated in rare silvery-white rhodium from the platinum family. Both are expertly handcrafted by artisans.